Traveling with Pets: Should they Stay or Should they Go? One key factor is how long you are going to be away, but the most important consideration is putting your pets’ best interests first. You know your pet best. So who best to make the decision on what to do than you. Let’s talk first about cats for whom your best option may be just to leave them home. It’s common knowledge that cats like routine and do not enjoy change, so taking them on trips is not usually recommended. Cats do not travel well and can get very stressed. As a result, getting a pet-sitter is your best bet. As a last resort you might consider boarding your cat, but this isn’t ideal given how cats do like the safety of their own home. Be sure if you do choose to board him/her that you do the proper inspection to evaluate the facility and that it is cat friendly. Now let’s consider your dog. Maybe you think that your dog will be better off going with you to avoid the separation anxiety that you anticipate. However, if you are out and about sightseeing, will you be leaving him in a hotel room or an unfamiliar kennel? This may put you in the same place as if you left him/her at home. In this case, finding a pet sitter and keeping him/her in his own surroundings may very well be the best choice. Like with cats, you can consider hiring a pet sitter to feed and walk the dog and even stay overnight. Boarding him/her at a local kennel is certainly another appropriate alternative. Some dogs may love the socializing that comes with being with others at the kennel. Whether you are trying to decide what is best for your dog or cat, think about his/her personality. If he or she is shy, older, under-socialized, afraid of strangers or just enjoys the comfort of familiar surroundings, a pet sitter is likely preferable. While you may know your pet most intimately, your veterinarian is also a good resource for you if you have any doubts about whether travel is appropriate. You’ll also want to make sure he or she is in good health before you leave and that all vaccinations are up to date. If your veterinarian agrees your pet is ok to travel, he/she may suggest a sedative to relax your pet. Consider providing a trial dose to see what, if any, effects your pet may have to the prescribed dose. Arrange for a responsible friend or relative to take care of your pet at your house or theirs. Pet sitters who can stay overnight at your home can be an ideal option, giving your animal a sense of security while you are away. If you don’t have a friend who can come into your home and look after your pet, there are professional pet sitters that are licensed and bonded who you can pay. You might even want to check with your local veterinary clinic. They may have a pre-veterinary student or veterinary assistant who works for them and is comfortable with pets, especially if your pet has medical issues that may need to be addressed. If you’re hiring an unknown pet sitter, be sure to interview candidates and check references. Just as you would when leaving your children with a sitter, you will want to make sure that he or she has all the necessary information. We recommend that you have your pet sitter visit a couple times in advance so that your pet sitter and pet can become acquainted. If you choose to board your pet, you may want to consult with your veterinarian who may have recommendations on a reputable kennel in your area. Read online reviews and ask friends for suggestions. We encourage you to check it out in person before you make a decision. Make sure the cages and dog runs are clean, dry, and odor-free; and that the facility is secure and well-supervised. Ask how often your pet will be walked as it’s important that they get exercise during the day. The kennel should also require that you show proof of vaccination and that all dogs be on flea and tick preventives. Before you leave your pet at the kennel, it’s important to provide an emergency plan, just as you would with a pet sitter. Leave your contact information, primary care veterinarian phone number and a secondary contact in the event that you can’t be reached. If you choose to have your pet accompany you on your trip, bring along all the supplies necessary to keep him/her comfortable while away. Always remember to bring your pets’ medical record information. If you travel across state lines, you must obtain a recent health certificate and a certificate of rabies vaccination from your veterinarian. Locating a hotel can be easier now that some hotels have pet friendly accommodations. 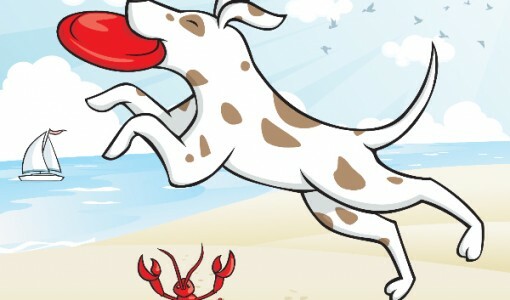 You may want to check out www.petswelcome.com to search for pet-friendly hotels within the United States. The Humane Society also has some great suggestions for pet owners, with tips for making your trip safe and low stress when traveling by car, plane, ship or train. Don’t forget to mark your calendars for our annual open house at Cummings School’s campus, set for September 20! Cummings Veterinary Medical Center has many opportunities for companion animals to participate in clinical studies, which allow veterinarians to investigate and develop more effective diagnostic and treatment options for various disease conditions. Learn more about ongoing clinical studies your family pet could benefit from. This article appeared in the July 2015 issue of our email newsletter – Better Pet Gazette. Sign up for the newsletter and receive information on timely topics featuring our experts at Foster Hospital for Small Animals.